In addition to being great cars Automoblox is a high-quality building system that will delight and inspire children while fostering the development of important skills and learning foundations. 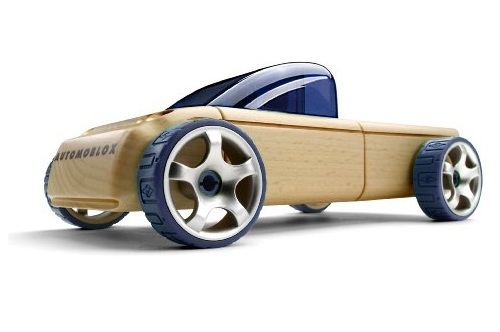 Starting with a stylish wooden body, kids add wheels, windows, and unique customizing details. Each car in the series has its own unique VIN number, just like a real car. All cars can mix and match with others in the series to create your own unique ride. Made of solid wood with real rubber tires, plus the cars roll like greased lightning!